Sending a card is fun in itself. But creating cards with a surprise inside is even more fun! 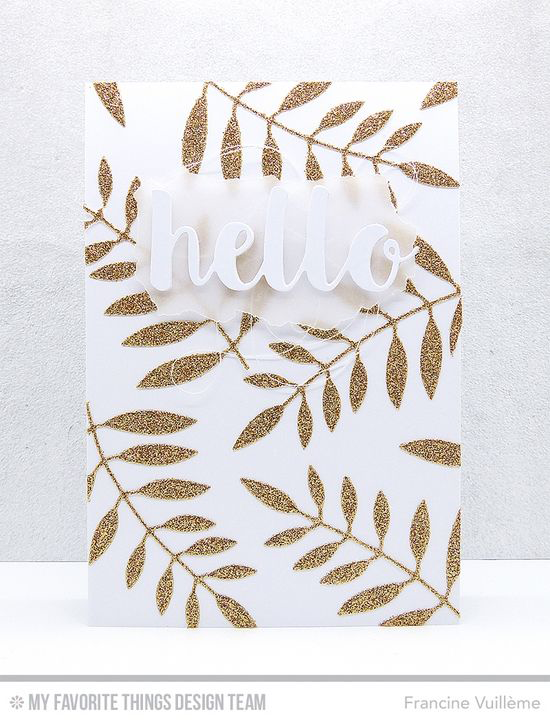 Let's look at some fantastic ways for Designing Inside & Out on your cards! Today's video will give you some creative ideas for adding elements on the inside of your card that can be seen from the outside. Stephanie shares an ingenious project originally created by Barbara Anders, and gives you a how-to for creating it. Watch the video below or click here (MFT May 2016 Release Class - A Peek Within) to watch it on YouTube. Don't forget to subscribe to our YouTube channel so that you don't miss a single tutorial! Stephanie gave some great tips for how to hide the adhesive used on the acetate as part of the window. And the details to this card make it just awesome! This is just one of five videos in our May Release Class Playlist. Check out the other four HERE. 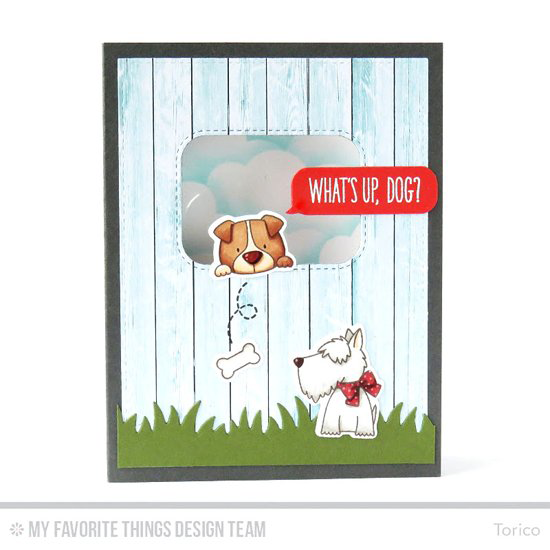 Let's take a look at a few examples of other delightful ways to take your design inside the card. 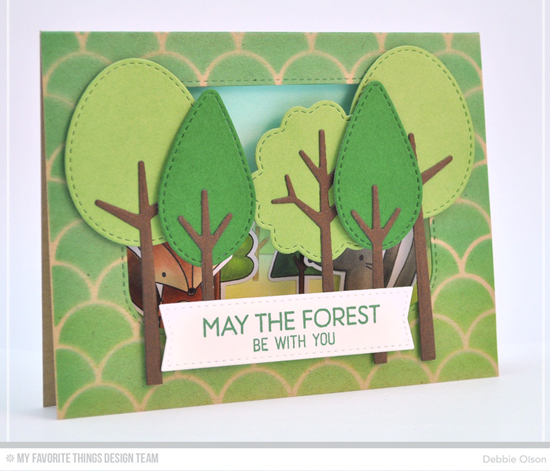 Debbie created this adorable forest scene by cutting a rectangle in the front of her card and shielding much of what's inside with the Tree-mendous Die-namics. 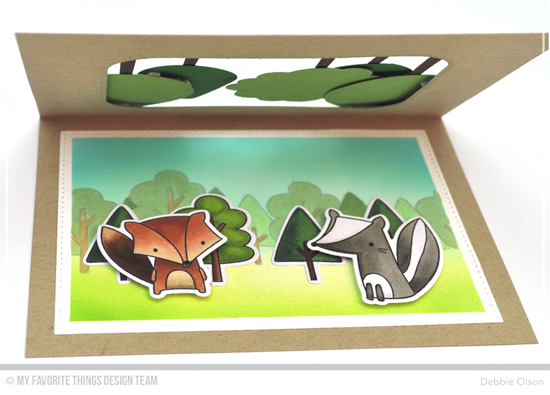 Some of the cute Forest Friends are peeking through the trees! 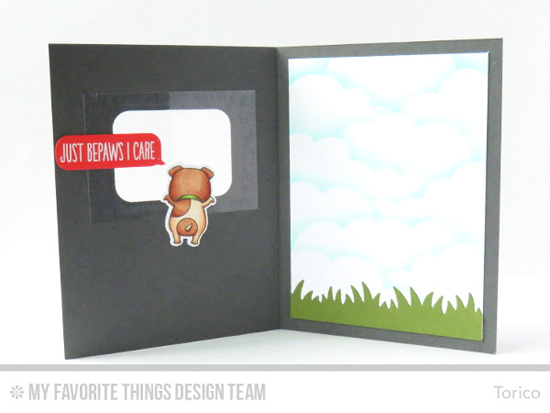 The Lucky Dog stamp set features some animals from the backside, so an inside out card is totally easy to make! Torico cuts a smaller rectangle opening than Debbie does, but it's the perfect place for the pup to perch. And look at the pretty cloudy sky she created inside and the cute puppy booty! You will LOVE taking the time to make the inside of the card as special as the outside. We can't wait to see what you create! Be sure to tag #mftstamps when you post your projects online. We can't wait to see what you've made!